Our bestseller: versatile alcoholmeter with thermometer - measurement accuracy in the range between 0- and 100%. "Al-Ambik®" brand name quality from German manufacturer. 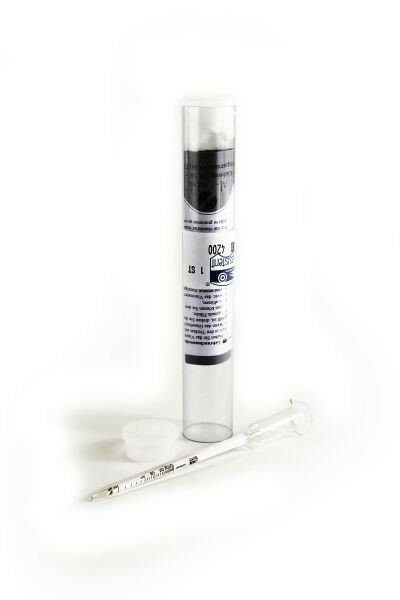 Like all hydrometers, this top quality alcoholmeter is calibrated for a measuring temperature of 20°C. Since the temperature influences the density, the result measured at another temperature would deviate. This alcoholmeter from Al-Ambik is fitted with an additional thermometer and scale. Should the temperature deviate from the test temperature of 20°C when measuring with this alcoholmeter, you can see that immediately by means of the second scale and read the correction values. You can also obtain an exact measurement result by distinctly higher and lower temperatures! 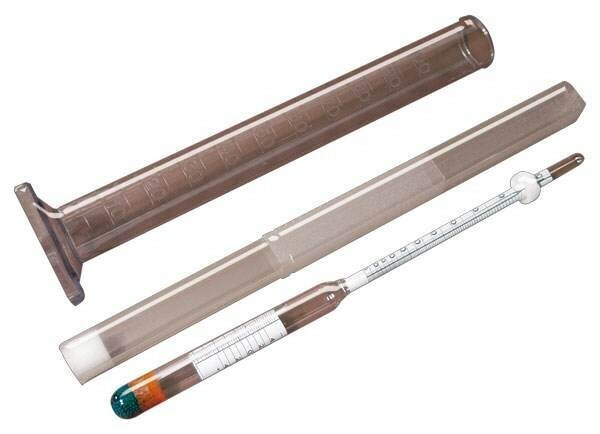 We recommend this versatile alcohol measuring instrument (hydrometer) for checking the alcohol content of all purchased or self-distilled water – alcohol mixtures (spirits, brandy, etc,...) and for all measurements during your own distillation. The alcoholmeter is supplied with a sturdy plastic cover and instructions for use. As an accessory we suggest a 250 ml graduated measuring glass. Please note: This alcoholmeter can only correctly read the alcohol content in water – alcohol mixtures. 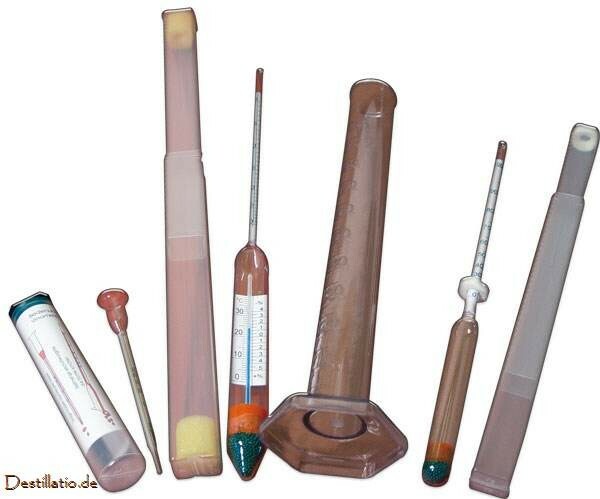 For wine you need a vinometer, and for measuring freshly prepared mash you need an Oechslemeter. It becomes a bit difficult when you have to measure alcohol which contains sugar, for example, liqueur. 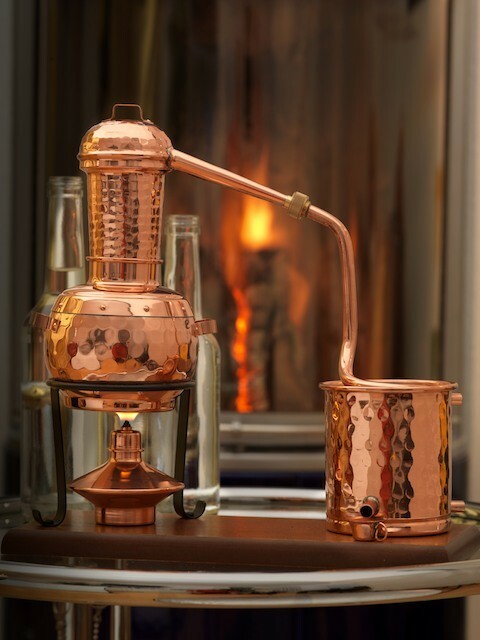 For the production of liqueur our recommendation is to calculate the alcohol content, in order to save the cost of a test still or a special refractometer.